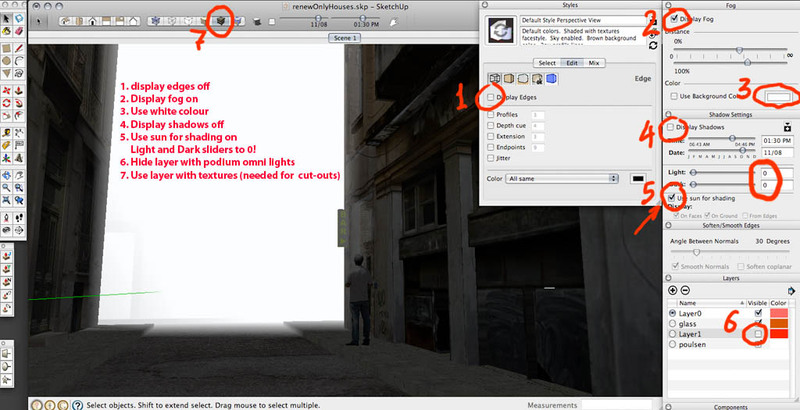 As podium does not have DOF option, here is a small tutorial. 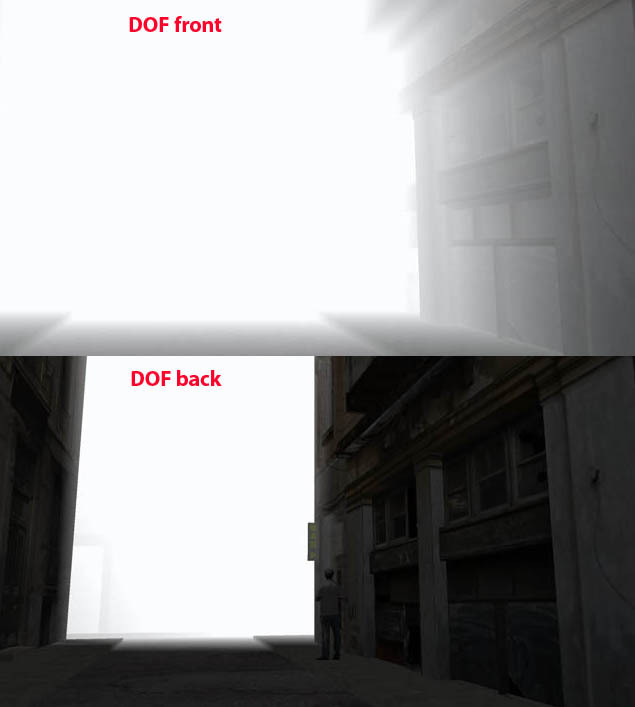 SU can export DOF as a 2d graphic. Its important to export a graphic without lines with all png cut outs information. Now, play with this white fog, trying to describe the Depth Of Field. We need two scenes, one for forground another for background. Don't change fog colour, has to be white. Here are the two 2d exports from SU. So, now we have two raw SU images and one podium render, all have the same resolution. Now lets open these in photoshop. 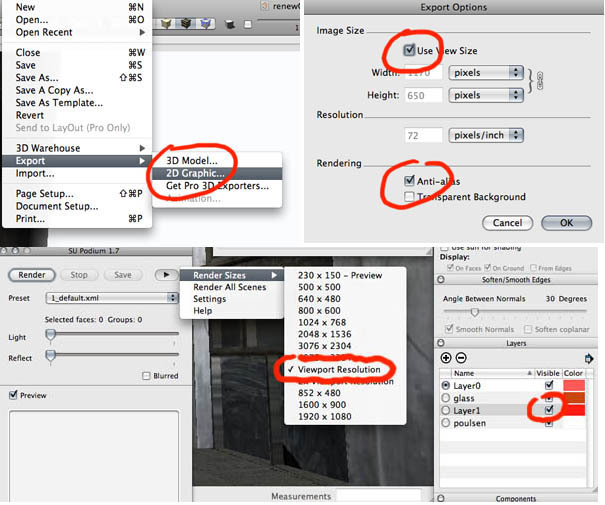 Select one of the 'DOF pictures' open channels palette, grab blue channel and drop it to podium render. Select the other and drop blue channel in podium render too. When 'drug and drop' layers in photoshop and we want them be aligned, hold 'shift' key please. Podium render picture contains 5 channels now, the 3rgb and two alphas. Click on the upper RGB group so to select RGB only. Alphas should be unchecked. You have to do this twice, one for foreground, one for background. 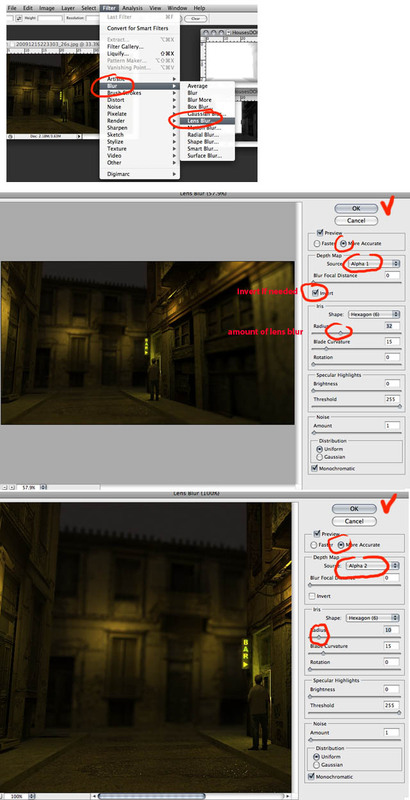 'Blur focal distance slider' works like real focusing on an accurate depth map. SU can't render such a map, so avoid to use it. My advise: Don't use too much blur try to remember how real photos look like. 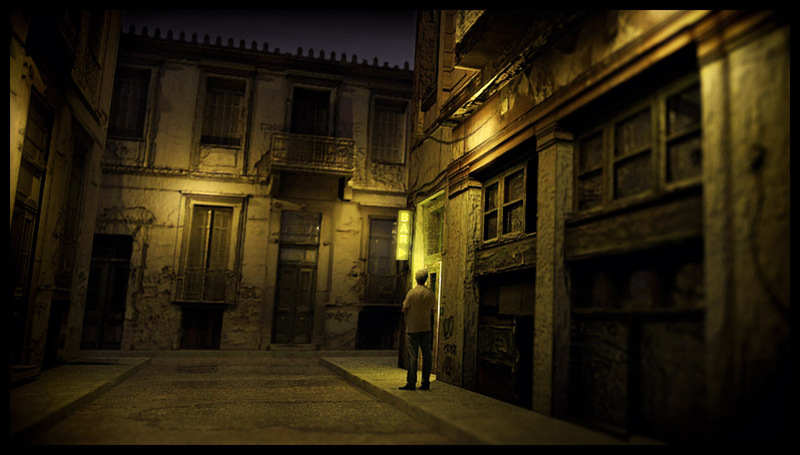 In this example its supposed to be a night shot. So f 1.4 to 3.5 = strong DOF effect. A daylight shot at f 11-22 doesn't need DOF at all. Macro shots need lot of DOF effect though. This was an old model in SU, one of my first photo-baked like renders. I used this example because of this cut out figure and the use of f 1.4 (lol). PP using lens distortion and toycamera analogcolor. Have fun. Damn - you're good! Now how about recording a Photoshop action? Thanks Jim. A photoshop action? Not so practical, I mean that there are so many and different variations here. It depends on the exported depth Alpha maps. A SU action, a ruby, could be more helpful. What about a podium v2 function? OK its not so important. Here is the best way IMO. You don't have to wait the renderer to finish the job and then see that dof is not right. I started sometime ago a DOF realtime tool that with an alpha map would allow interactive modifications of the point of interest by moving the mouse. another project that will be open soon for someone to improve it. I followed the instructions carefully but nothing changed in the render, that is, no blur was added to it. 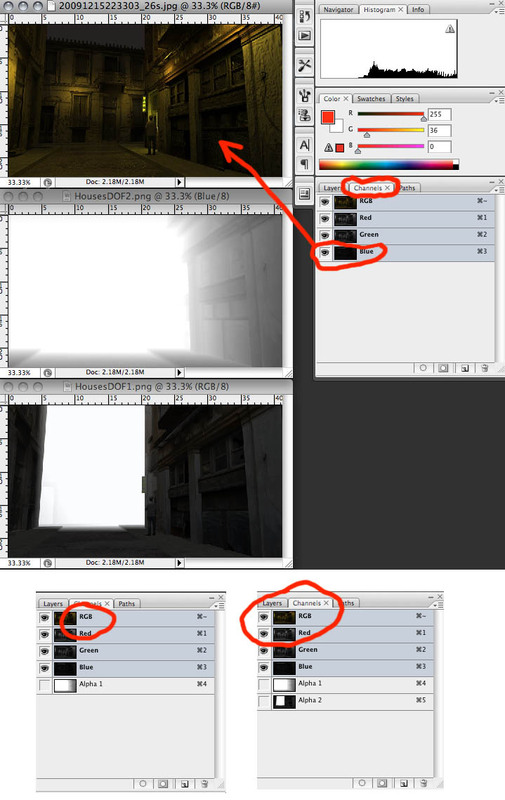 I am sure there is a step that I am missing that links the SU exports to the render but I could not find any reference to it in the tutorial. could you explain what I am doing wrong? No lens blur added in Ps? I mean, you have the raw SU render with fog. You have to add it to the podium render as channel, then open lenses blur and use it as alpha. Have fun with parameters there. thanks for the tip. I looked around and found similar approaches that made me understand fully what you suggested. be sure your comments and tips have helped me a lot to improve my renders. thanks.